"Yes, indeed, seven people have been declared undesirable. And they (in Brussels) have announced that they will not issue visas to three other employees," Deputy Foreign Minister of the Russian Federation Alexander Grushko stated at the Valdai Discussion Club’s event. "NATO, expelling Russian diplomats, cuts the branch on which it sits. This contradicts the numerous statements made by the Secretary-General and other representatives of the alliance about NATO being interested in a political dialogue and the convening of a regular meeting of the NRC… How can it be convened under these conditions?" the Alexander Grushko said. "I think that all this was planned, including due to the fact that it would be necessary to explain to the public in the near future where the money is going because it is colossal spending," Grushko said when asked whether Moscow expected NATO to increase defense spending over the so-called Skripal case. Euro-Atlantic solidarity around Skripal case has become a direct danger to European security, according to the Russian Deputy Foreign Minister. Moscow does not exclude that the Skripal case was plotted as the argument for NATO's increase in defense expenditures, a great enemy is needed, the deputy minister said. "NATO has crossed the line when it continued to expand its defense presence at Russia's borders. Today, the situation along our borders has changed dramatically and in fact, not only in terms of politics but also in the field of military development, NATO has resorted to Cold War schemes that should have remained in the past and today cannot provide security… without Russia," the Deputy Foreign Minister of the Russian Federation noted. London decided to follow a provocative path to support an atmosphere of Russophobia, Grushko said. "It is obvious that this is a provocation. The whole situation was turned upside down, an ideological campaign was built in such a way as to exclude a normal dialogue, professional, in fact, what happened. The UK refused to use legally binding instruments, which are fixed in the Convention on the Prohibition of Chemical Weapons. Therefore, these are all signs that this is a provocation chosen at a special moment in order to further aggravate the relations between Russia and the West, worsen the prospects for a return to normalcy, and prevent the transition to cooperation schemes in the areas of common interest," Alexander Grushko stated. Western countries, making claims over Russia on the "Skripal case", should have understood that it is impossible to speak with Moscow in the language of ultimatums, Grushko emphasized. "An ultimatum was delivered, which was not intended to be answered because the people who formulated this ultimatum could not fail to understand beforehand that this is not the language in which one can speak," he said. 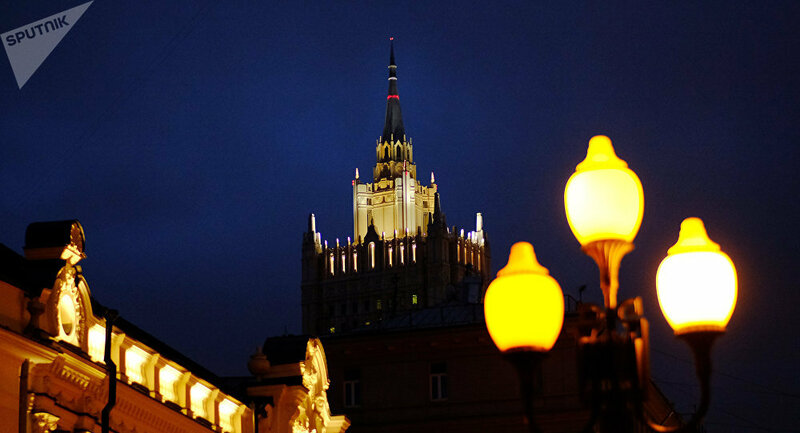 Moscow will answer in an asymmetric way to any unfriendly NATO move in order to protect our interests, Grushko noted. “By the way, why are they closing Sputnik and Russia Today? For one simple reason – because they [media outlets] carry out their function effectively, they really influence public opinion,” Grushko said. Tensions between Russia and Western countries began to grow after the Salisbury incident, where Sergei Skripal, former Russian intelligence officer and his daughter Yulia were harmed by a nerve agent. The UK accused Russia of orchestrating the attack and expelled 23 Russian diplomats. The move has been supported by more than 25 countries, despite of the fact that Russia has repeatedly denied the accusations and cited the lack of proof.